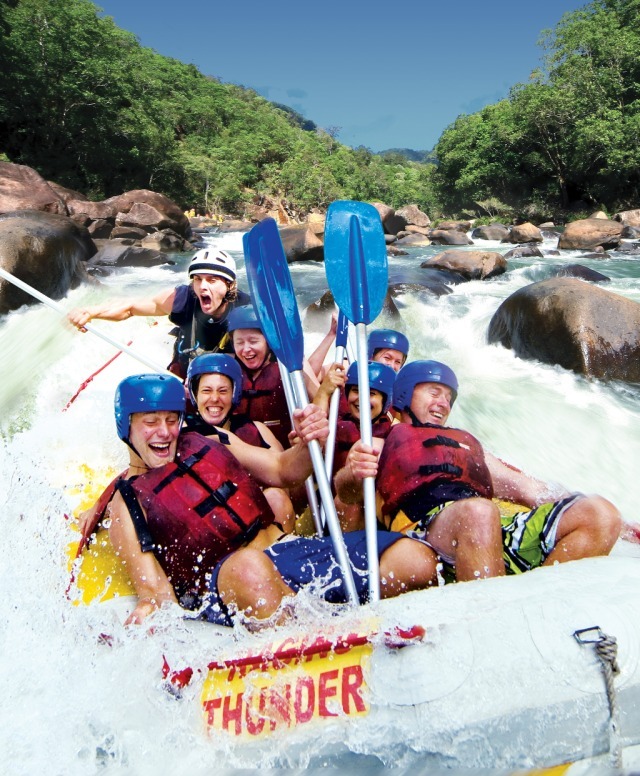 The mighty Tully River and it's 44 rapids is regarded as the best rafting river across Australia and New Zealand. 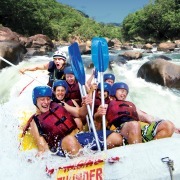 Departing daily, travel to the upper gorge of the Tully River in an air-conditioned, video equipped coach. 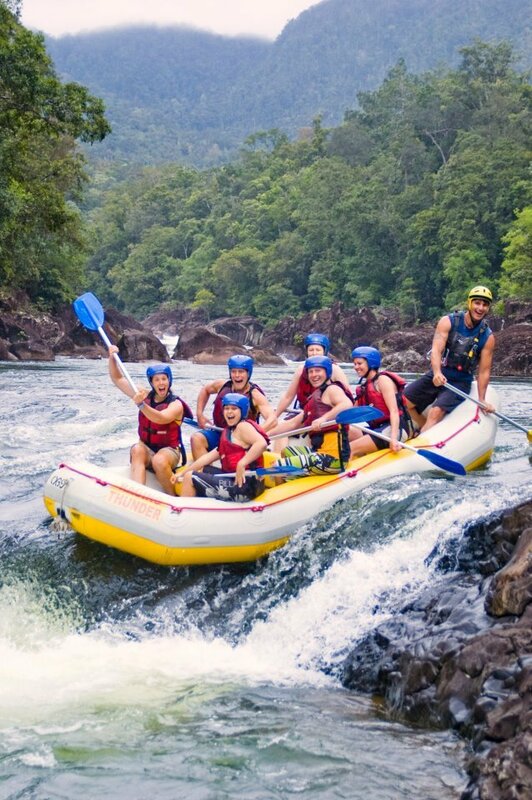 Tully River is situated in stunning World Heritage Listed rainforest and offers an awesome day out rafting grade 3-4 rapids over 5 hours. 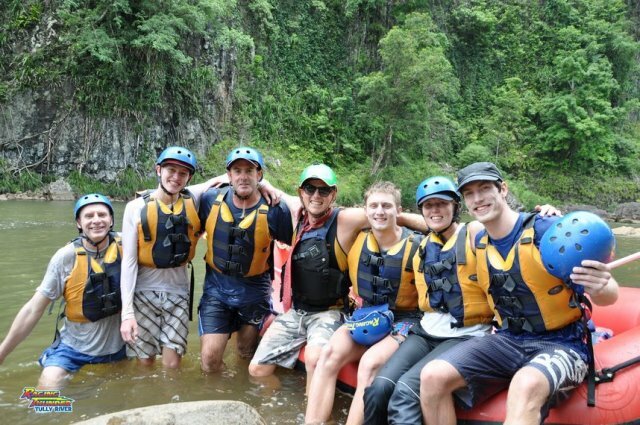 The rescue 3 trained guides will offer you all tuition needed to enjoy your 5 hours of rafting. 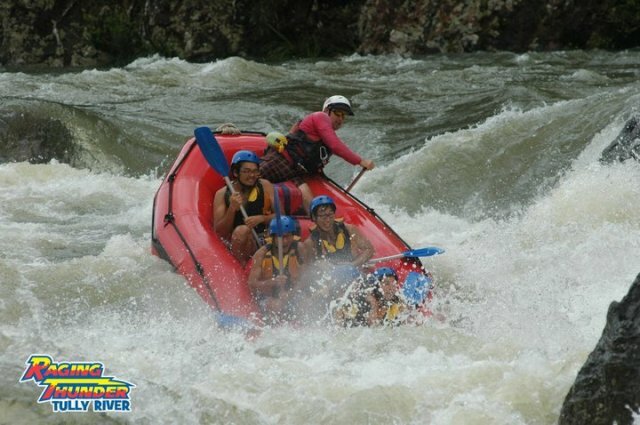 Enjoy a well-earned barbeque lunch on the banks of the river and a chance to take in some spectacular scenery. 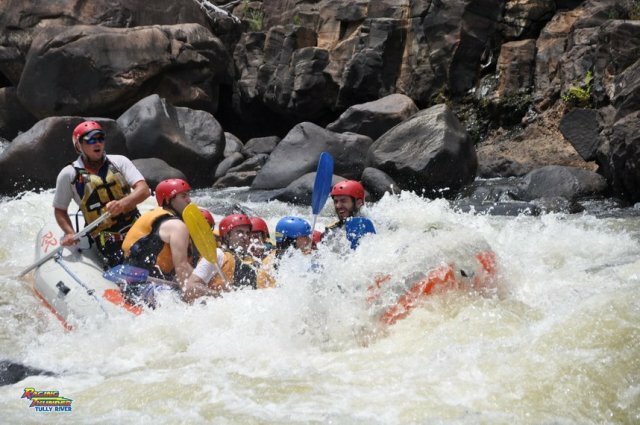 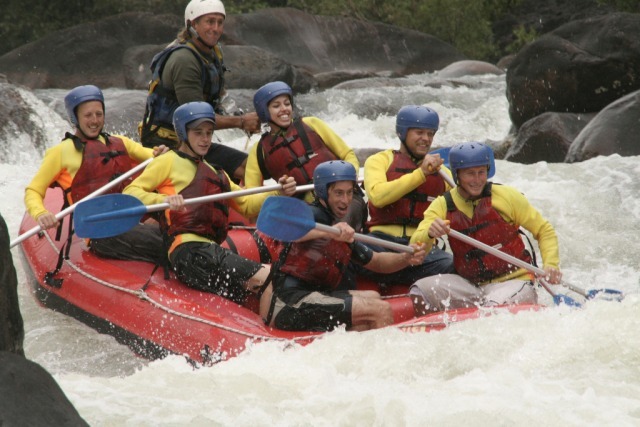 Expect the need to hold on at times on these moderate technical rapids, however no experience is necessary, most of your fellow rafters will never have rafted before. 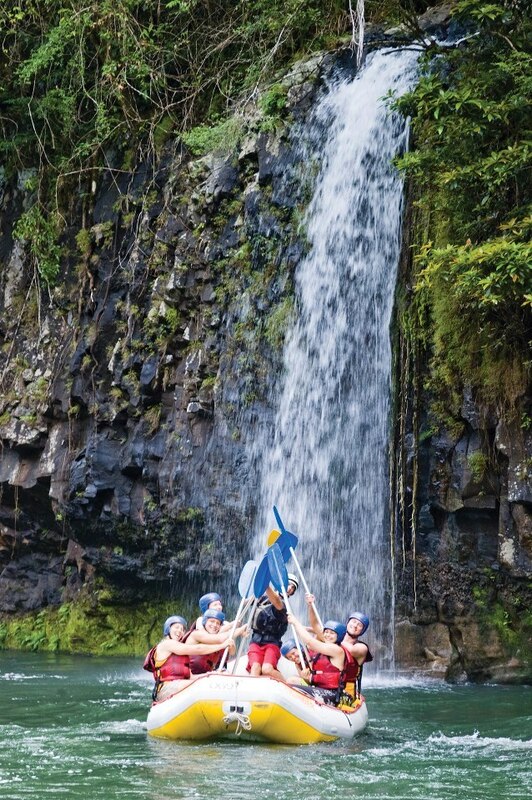 A sense of adventure is a must! 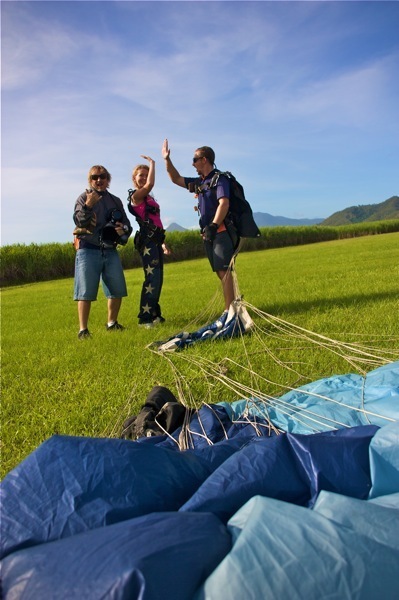 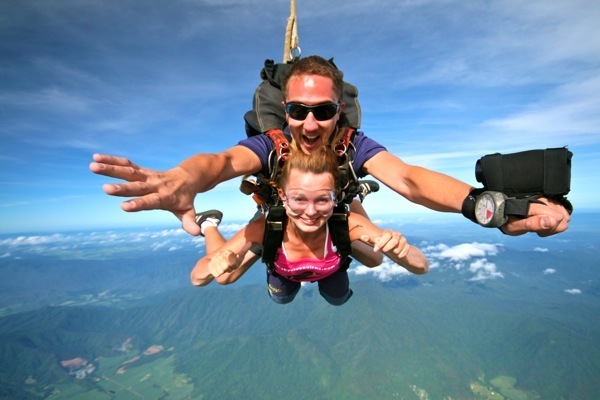 The following day it's time to take the plunge for the biggest adrenalin pumping thrill in the ultimate experience of Skydiving with Australia's largest tandem skydive company. 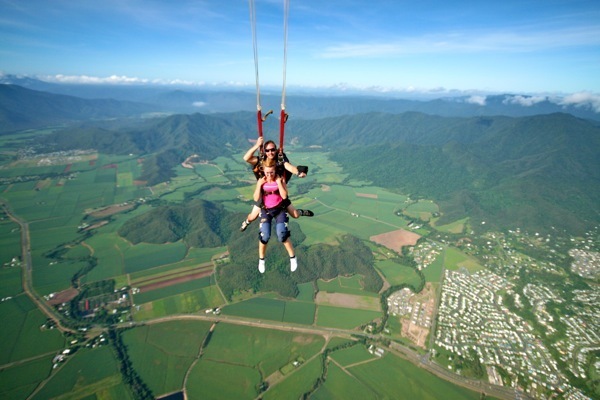 From 14,000ft the views of Cairns, the Great Barrier Reef and the Rainforest are breathtaking. 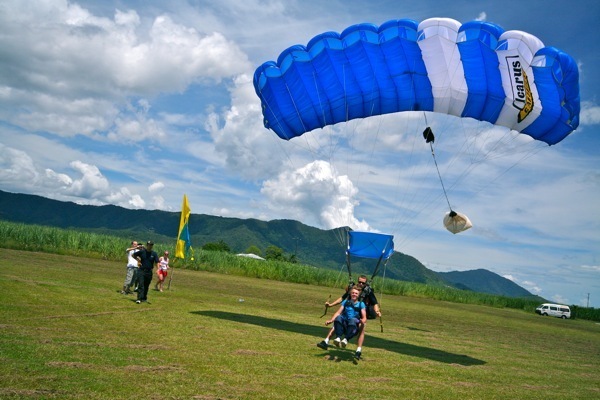 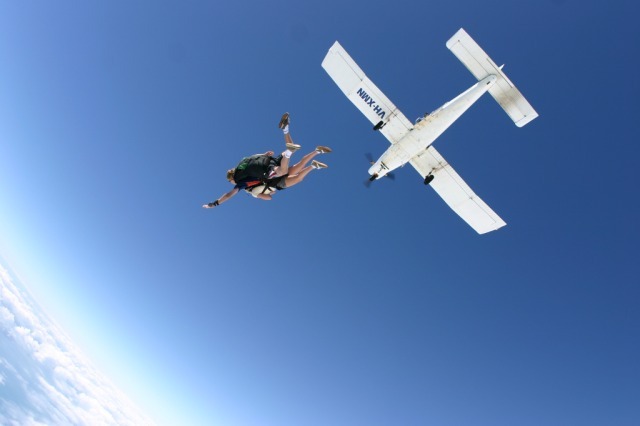 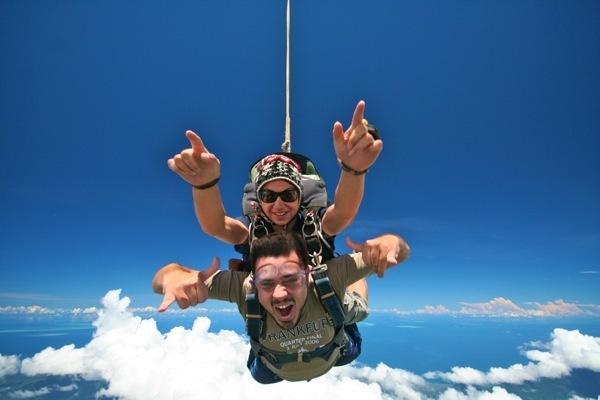 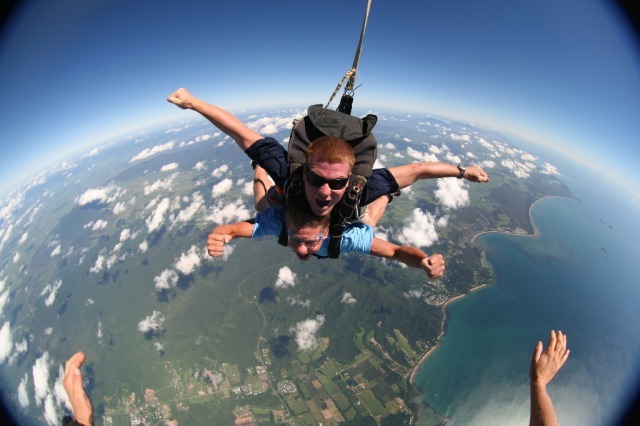 A 60 second freefall will maximise your skydive experience and receive your first jump certificate on achievement.